I re-read Snape's death scene and JKR's intent came through intensely this time. I really believe Snape was delighted to be able to tell Harry he was a horcrux and must die - and in a way, Dumbledore had granted Snape that opportunity for happiness in exchange for not telling him about the Elder Wand. I thought that Snape was horrrified when he questions Dumbledore about the message he has to pass on to Harry and send him to his death. He could have told Snape that Harry may live after that, but he chooses not to. I feel that Snape showed more integrity in this relationship than Dumbledore did. But it would have been difficult for Dumbledore to do anything differently if he wanted to defeat Voldemort. He needed to keep secrets and he needed to use people. It is unfortunate and I wish it could have been different. It isn't the way I hoped it would be, either. I think that from the moment Dumbledore gave Snape a chance to make up for Lilly's death Snape became completly devoted to Dumbledore. It is obvious that Snape was devasted by what happened to Lilly. He knew it was his own fault that the woman he loved was dead. Dumbledore offering him a second chance was more than he could ever have hoped for. He had a chance to off-load the grief and guilt he was carrying and redeem himself. While i don't think he ever became a close friend of Dumbledore, i do believe that he was very grateful for the chance he was given. For this reason he would never betray Dumbledore. I think Dumbledore must have known this and this is why he kept insisting that he trusted Snape. He knew Snape would not re-join the Death Eaters because he was giving Snape the only thing that made him able to live with himself - a way of redeeming himself in the eyes of Lilly by protecting her son. Sure. I agree with what you are coming up with as well. Snape, had he known about the Elder wand even in the beginning would have stayed where he was IMO. What I have been saying all along though is that choice should have been his to make. In that case, we as readers are in a position where we do not actually know what was said. We are not privy to all of Snape and Dumbledore's conversations. So you could be right that Snape knew about Voldemort taking the wand. Or, he might not have known. Snape might have chosen to ask the portrait about it, or he might not have. If he did, Albus might have told him enough of the truth for us to feel (were we to have witnessed it) that Snape chose freely to stay, with that additional threat hanging over his head at every moment. Or Albus might have refused to answer, thereby sparing Snape that particular anxiety. The story we read would not actually be any different! Any of these things may have happened. I agree. Only most of my problems with one Albus Dumbledore will come to an end if I come to know he did tell Snape. I would like that very much indeed. And the story we read will not be different at all. How do you know Dumbledore didn't witness it? He was dead, too. Yeah but he hadn't crossed over into the after world yet, he was hanging around waiting for Harry. I think that Dumbledore would have been proud of Snape for doing everything he asked of him. Snape did not waiver from his promises to Dumbledore. It was Dumbledore who kept secrets from Snape. I feel that Snape showed more integrity in this relationship than Dumbledore did. But it would have been difficult for Dumbledore to do anything differently if he wanted to defeat Voldemort. He needed to keep secrets and he needed to use people. It is unfortunate and I wish it could have been different. It isn't the way I hoped it would be, either. Well Snape showed more loyalty to Dumbledore than Dumbledore showed him, I agree. I believe Dumbledore could have handled the whole situation better myself. But in the end Voldemort was vulnerable to death and Harry was able to kill him, so Dumbledore would be happy. If Snape had killed Voldemort, he would not have 'ended' him. At the time of Snape's death, two of Voldemort's Horcruxes remained in the world - Nagini and Harry himself. Of course I took that into consideration, but he could have instructed Snape to keep himself safe, so he could dispatch Voldemort when the time was right. There was no fallback to Dumbledore's plan as laid out. I agree it would not be different action wise, but it would make Dumbledore look better. Also it would make Snape look more intelligent. But I do not assume something so important to Dumbledore's character would be left out of the story. It makes him look really bad to have done that. I don't think defaming his character for things he didn't do would be what JKR wanted because he already looked bad enough for what he'd done to Harry (not to mention Moody and others). So I think it was more to show the lengths Dumbledore was willing to go to forward his greater good plan. Using Snape wasn't a terrible choice of 'fall guy' per se because his attitude toward and treatment of Harry had already blemished his character quite a bit. So those who read the series in the way I did, felt Snape deserved it. But that does not let Dumbledore off the hook, it was still wrong, imo. Last edited by wickedwickedboy; January 26th, 2008 at 4:27 pm. He might have been commuting back and forth. After all, "King's Cross" is not exactly our world of the living, either. In fact, Dumbledore was extremely happy when we saw him. TGW and I are not worried about his happiness, we are trying to decide what we believe about him as a character. (I think, do correct me if I am wrong, TGW!) To me, given the importance of Snape to his plans, and the extremes to which Snape was willing to go to help him, it is important to know how Dumbledore felt about Snape. If he truly did not care much, that says something about him as a person, something I cannot respect. A leader assumes certain obligations to their followers, in my view. I actually think he did; scenes like the one where he has tears in his eyes talking to Snape suggest it to me. He stayed as close to Voldemort as possible, which was what Dumbledore wanted. However, he didn't have to be quite that cozy if Dumbledore had set up an alternative plan. Last edited by ComicBookWorm; January 26th, 2008 at 4:43 pm. It makes him look really bad to have done that. I don't think defaming his character for things he didn't do would be what JKR wanted because he already looked bad enough for what he'd done to Harry (not to mention Moody and others). Apparently it was not Rowling's intention to defame the students of Slytherin House by suggesting none of them fought Voldemort. They looked bad enough already with Pansy speaking for them. But she neglected to make it explicit that there were Slytherin students among the crowd that came back with Slughorn, a point any number of readers felt was absolutely crucial. I am therefore leery of assuming Dumbledore did not tell Snape. Yes, it makes Dumbledore look worse, but it is analogous to the omission above. I can see it being, for Rowling, in the 'of course' category she did not feel she needed to spell out. "Of course Sluggie brought of-age students back aliong with other reinforcements!". "Of course Snape asked about the tomb, and DD told him!". She would also have left that latter out for aesthetic reasons. Where she left off the memories in "The Prince's Tale" was beautiful - the business of Snape leaving to help Harry, and Harry coming to in a room he could just have left. Tacking on a later, because the tomb was violated around Easter, whereas the Sword was delivered on Dec. 26, memory of Snape and Dumbledore discussing the nuts and bolts of the Elder Wand might not have been as lovely. He stayed as close to Voldemort as possible, which was what Dumbledore wanted. However, he didn't have to be quite that cozy, if Dumbledore had set up an alternative plan. I guess I don't see what the alternative plan would have been. -He would find and destroy all the Horcruxes, as he was in the process of doing, pre-HBP. -Snape would help keep tabs on Voldemort and the DEs as his spy, especially providing warning about possible plans to harm Harry. -The Order would help minimize the damage in the meantime. -When the last horcurx was toast, Dumbledore would tell Harry the final, awful (half) truth, and Harry would go to his death. Harry would hopefully survive, and then Voldemort could be killed. Possibly by Snape, I agree with you that this makes a deal of sense. But then Dumbledore succumbed to the lure of the Resurrection Stone, and only Snape's quick action won him a few months of life. 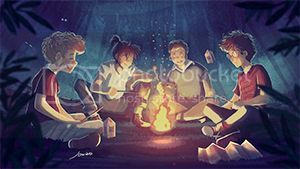 This meant Dumbledore could not destroy the Horcruxes himself, and so he chose Harry and his friends to finish that for him, and devoted his time to training Harry along with seeking Horcruxes. Someone else had to be delegated to tell Harry the truth - Dumbledore chose Snape, for reasons we have discussed. The new problem of the Elder Wand arose (it is my view that if Dumbledore had died of the curse, Voldemort would immediately have become Master of the Elder Wand - it was his wand that created the deadly curse in the first place). And also, the fall of Hogwarts became inevitable (I think Dumbledore figured that while he was alive, he might stave off a takeover). So the idea of Snape killing him arose as a solution to these last two problems. The Wand would be neutralized, and Snape could at least mitigate the Voldemort regime at the school from a strong position at Voldemort's right hand. I wouldn't even give the topic the time of day if JKR hadn't make Snape blanch and mummify when Voldemort told him about the Elder Wand. I also don't believe in worrying topics that "may or may not have been" because it is pointless. But here, we have proof that Snape did not know and was taken by surprise when he found out that he'd been betrayed by Dumbledore. Further proof was that Dumbledore intended for Snape to have the wand (but not be it's master as the power was to die with him) - and if that was the case "Snape" and "Elder Wand" and "Master" was what Dumbledore intended for Voldemort to put together and believe. So if he had of told Snape about it, why wouldn't he tell him to go get the wand and at least make it difficult for Voldemort to trace? Finally, if Snape knew, the "blanching" countenance would have occurred the minute Voldemort said his "wand" wasn't working - not later when he explained why and Snape understood he would have to die. Thus, this is not something I am guessing in order to condemn Dumbledore, the facts in canon show that Snape didn't know, imo. Dumbledore's "poor Severus" coming just after he spoke to Harry about the Elder Wand business simply puts icing on the cake. ps. I am totally at a loss as to what you are inferring with the easter/christmas reference. Especially since the taking may not have been on Easter and the giving certianly wasn't on Christmas. Are you saying Voldemort and Snape were melancholy during the holidays? And how does that tie in with Snape seemingly leaving the room twice? Was the day of the Battle a holiday too? Last edited by wickedwickedboy; January 26th, 2008 at 5:07 pm. I'd like to comment on this earlier post by wickedwickedboy. It is my view that we are free as readers to put our own various interpretations on Snape's death scene. However, I'm having a hard time discerning any delight in his final interactions with Harry. 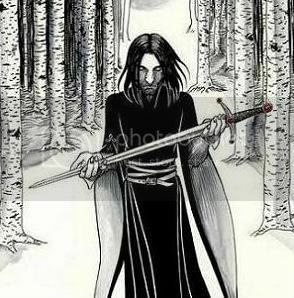 Snape is dying, very painfully, from an agonising bite and from loss of blood. He's in pain and he barely has time left to have the presence of mind to release those crucial memories to Harry. If he feels any 'delight' at this awful situation, I can only guess it's delight that Harry has actually turned up in the nick of time! Even with his dislike of the boy, Snape taking delight in telling Harry that he has to die doesn't make much sense to me. At first, as Snape lies dying, he doesn't even know that Harry is there. In which case I surmise that he he must feel terrible despair that not only is he dying alone but he's dying without being able to pass on that crucial info to Harry and thus failing in the task Dumbledore set him. When Snape sees Harry's face appear over him, I am guessing he feels a vast relief that at least before he dies he can finish the task that Dumbledore had entrusted him with, and thus ensure Voldemort's defeat. As JKR was writing, in her mind, she sat and thought, 'Snape hates Harry' and she likely thought 'Dumbledore knows this'. So, my above conclusions came shining out from the writing when I read the scene thinking on those things. I also clearly saw that Snape had to reach a place of peace within himself with respect to his attitude toward James and Harry in order to look at Harry's face (James Potter's face) and ignore it (ignore his feelings of hatred) in order to see Lily's eyes. I don't believe that Dumbledore felt Snape was capable of doing even that much and would have been surprised. But the harsh way that Snape grasped Harry in order to fulfill his dying wish, showed me that Snape cast Harry/James right out of his head with every fiber of his being - indicated by the clutching of Harry's robes - and see Lily's eyes. He could not do that before. OK, I get all of this. But I really don't see where the 'delight' comes into it. The first time I read that scene, I read a desperation into the way Snape clutches at the front of Harry's robes. As if his gesture says: Potter, you must grant a dying man's wish. And Harry does. 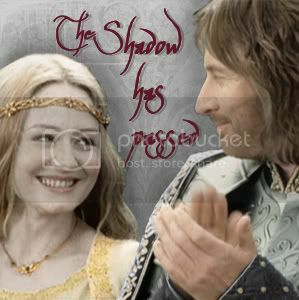 And yet, moments later, he would have to face Lily in person, likely with James, Sirius and Remus standing next to her. That would indeed have been an interesting scene. Dumbledore would not see it, but it might have been nice for him to have witnessed the full impact of his mechanisms. Well ... when Harry calls forth his parents and the two loyal Marauders through the Resurrection Stone, Lily and James seem to approve of the suicide mission that Dumbledore set before him. My reflection on the Snape/Dumbledore relationship is that Snape showed a lot of loyalty to Dumbledore, and that Dumbledore's decisions were sometimes questionable. But I personally don't go along with the notion that Dumbledore deliberately set Snape up to be killed by Voldemort, because of the Elder Wand business. As Harry says to DD in King's Cross limbo, 'that bit didn't quite work out' and Dumbledore soberly agrees, saying 'poor Severus'. From that I deduce that the plan had gone a bit pear-shaped. Albus setting Severus up deliberately to be killed seems unbelievably callous to me, and I'm not sure I want to go down that road. I agree. I think everyone will interpret it distinctly. Snape was delighted to be able to drop the bomb on Harry, imo - but I didn't mean he was showing delight when he died. The delight he got to relish prior to that, since Dumbledore's death. But the other bit I spoke of referred to his feelings at the time of his death, imo. But remember I read the series and felt that JKR's assertion that Snape loathed Harry was true. I think James and Lily would thank Snape, as they were all seeing at that point. I believe they would be as compassionate and all seeing as Harry on that occassion and show what big people they are - they are like their son. And Dumbledore, if he was able to witness that, all the better, imo. Remus would likely stand by quietly and Sirius would wait until all of the chatter was over and then clobber Snape, imo. Well based on the canon, what other conclusion is there? Dumbledore asked Snape to kill him, he knew he was master of the Elder Wand at the time; he knew Voldemort would seek it; he knew that if he found it, it would not work for him properly; he knew Voldemort would have no qualms about killing Snape to gain the power of the wand. Which is exactly what happened. What other outcome do you think Dumbledore could have foreseen based on those facts? It was unbelievably callous - just like raising Harry for the slaughter was - remember, Dumbledore was not 100% Harry would live either. That is why Harry felt totally betrayed (his words, not mine). Dumbledore was callous when it came to the greater good. JRK said as much. Last edited by wickedwickedboy; January 26th, 2008 at 6:18 pm. It was because it was left out and there is ambiguity regarding what could have happened, that I think there are so many problems. She could have made just Voldemort go to the tomb; we see this through Harry’ eyes actually. So we could have just seen Voldemort gliding and hissing all over the place and breaking open the tomb and taking out the wand. Snape need not have been there at all. So we have to assume Snape did not know, Dumbledore’s wand would not be recognized among other things to believe that Dumbledore did not intend for Snape to die. Or that he was negligent with respect to Snape, because of the overall tension with the war. Both I think would lower Dumbledore in my eyes. But Jo brings in Snape along with Voldemort and then sends him back and does not stop there. She tells us Voldemort cast a disillusionment charm that hid him from his own eyes. That raises speculation about whether Snape too cast such a charm and flew (he could fly after all) over silently to see what his Master was doing. Snape will never keep this silent and he goes to tell Dumbledore. There the problem begins. Dumbledore was very happy. No dispute about that. But did he give Snape a choice is what bugs me and we don’t have enough to tell us one way or the other. I wanted Dumbledore to feel about Snape like he did about Harry. Snape may have turned for just Lily, but once he did, he was Dumbledore’s most loyal soldier, who was willing to kill for the cause. Snape I think should have been given a choice. He would have never chosen anything apart from what we saw in the books; still for me it is important, because it shows Dumbledore respected Snape and loved him. I don’t see it and well, I’ve said a thousand times already; I am unhappy. In the scene where he has tears in his eyes, I thought was because of Snape’s love, something Snape had not forgotten after all this time. He too had not forgotten Grindelwald and I think he was simply stunned and amazed at the strength and depth of Snape’s love and tears came into his eyes unbidden as he saw Snape’s love that was very much like his own. Both unrequited, both never forgotten. (it is my view that if Dumbledore had died of the curse, Voldemort would immediately have become Master of the Elder Wand - it was his wand that created the deadly curse in the first place). Why do you say this and how did you come to this conclusion? It may be his wand that created the deadly curse, but it was to kill, not to defeat. For the Elder wand I think you need not kill. the wand attaches itself to the strongest wizard and the most powerful one. and most importantly there was no intention to win the wand. Well, I've read the series too. I still dispute this idea that Snape was DELIGHTED about telling Harry he had to die, because this is absolutely nowhere suggested in the text, even from Snape's behaviour (and yes, I agree that Snape was a right git to Harry). We don't see Snape acting delighted about the prospect of Harry dying when he finds out from Dumble that Harry has to die. His reaction is cool, and then he gets very angry with Dumble about misleading him, the whole protecting Harry for Lily's sake thing. But there's no suggestion that he's actually happy about Harry dying. Even if he can regard the idea with a certain amount of impunity, because he doesn't like the boy, I just don't see him being delighted. Based on what I have read. And I've read DH twice. It was because it was left out and there is ambiguity regarding what could have happened, that I think there are so many problems. I respect your view, but I don't think it was left out. I gave several reasons why and unless someone can suggest a reason for Snape's face that went from pale to "like a death mask, it was marble white and so still that when he spoke, it was a shock to see that anyone lived behind the blank eyes" when Voldemort told him that Dumbledore had been the Master of the Elder Wand, then I am all ears. And why if Snape knew about the elder wand, thus knew he could die at any time that Voldemort discovered it, why he didn't come up with a plan to ensure Harry got the important message he carried. And why he didn't go and get the wand from Dumbledore's grave and hide it. Even more importantly, it makes Snape look less than intelligent because if he knew about the Elder Wand, one thing he would have done was to keep an eye out for Voldemort's obtaining a new wand that could be the Elder Wand. Voldemort had been using the Elder Wand for quite some time and knew it did not work, so Snape had adequate time to check out the situation and discover this for himself. If he didn't he would simply be behaving in a very unintelligent manner. He would have known his death was imminent and did nothing about ensuring Harry would get the message he carried. Too many unanswered questions for there to be a mystery about this, imo. I see no ambiguity at all - but I am of course open to having them pointed out. However, if you see this as ambiguous and you feel there is a possibility that Snape knew about the wand - then why don't you just adopt that belief? For my part, I am certain he did not know and thus I believe Dumbledore betrayed Snape. For the greater good of course. But Dumbledore didn't care about anyone like he cared about Harry. He flat out told Harry that in his opinion, everyone was expendible - he didn't care if they all died at one point, as long as Harry was safe. That would include Snape among those who could die. Dumbledore loved Harry - but Harry was also his greatest asset against Voldemort. There was simply no one else in the entire wizard world who was as important to him. If Snape had been killed by Voldemort early on, Dumbledore would have had to commit suicide and figured out another way to get the message to Harry (likely through his portrait). It was the same with everyone else - whatever their role, they were expendible. Only Harry was important to bringing down Voldemort in the end. Last edited by wickedwickedboy; January 26th, 2008 at 6:44 pm. What other outcome do you think Dumbledore could have foreseen based on those facts? It was unbelievably callous - just like raising Harry for the slaughter was - remember, Dumbledore was not 100% Harry would live either. That is why Harry felt totally betrayed (his words, not mine). Dumbledore was callous when it came to the greater good. JRK said as much. Further, as I have pointed out, Dumbledore may well have planned to warn Snape about the danger of the wand once the wand was safely neutralized by his death. Only, it wasn't safely neutralized, and then the situation was an accomplished fact. Dumbledore was not callous about Harry. It was clearly his fervent hope that Harry would live, and this was the goal of all his plotting, together with Voldemort's defeat. Harry could not live without Voldemort's defeat anyway, because Voldemort would seek to kill him as long as he remained alive. He came across as callous explaininng the plan for Harry to Snape, but this is because he was concealing a part of his plan from him. Snape I think should have been given a choice. He would have never chosen anything apart from what we saw in the books; still for me it is important, because it shows Dumbledore respected Snape and loved him. I would point out that Dumbledore demonstrably loved and respected Harry, and yet he did not tell him in advance that he would have to allow Voldemort to kill him. He did not want to burden Harry with that information before it was necessary for Harry to know. I'm really not sure Dumbledore loved Snape, and for me it is OK if he did not. Love is a deeply personal feeling that grows up naturally and cannot be forced. Snape was in some ways not all that lovable. But in his work with Dumbledore he was admirable in his courage and loyalty, and for that, the least he deserved from Albus was respect. You do not need to kill to win the wand, only defeat its master, I agree. But in my opinion, the killing of one wizard by another using a deadly magical curse the other wizard cannot fight off is a defeat. (For example, while killing Snape was unnecessary, I believe that if Snape had truly been the master of the wand, this would have sufficed to pass the wand to Voldemort in truth). While Dumbledore survived, the wand would perceive him as having the strength to fight off Voldemort's power, and would remain loyal to him. If he died of that curse, the wand would see it as his having been defeated by the superior magical power of Voldemort's curse, and would fall to him. If Dumbledore arranged to die in another way that did not constitute a defeat, he would die undefeated in the judgment of the wand (and that in my opinion was the effect Dumbledore was counting on, when he asked Snape to kill him). Snape's killing of Dumbledore would not count as a defeat, not because it was 'just a killing', but because Snape would have been acting in accordance with Dumbledore's will. The intent to win the wand is clearly not necessary. Draco had no intention of winning Albus's wand; he was attempting to carry out his plan to kill him. Yet he became the master of the wand. I respect your view, but I don't think it was left out. I gave several reasons why and unless someone can suggest a reason for Snape's face that went from pale to "like a death mask, it was marble white and so still that when he spoke, it was a shock to see that anyone lived behind the blank eyes" when Voldemort told him that Dumbledore had been the Master of the Elder Wand, then I am all ears. This would presumably be his reaction if he knew all about the wand by then. It would be the result of his realization that the sword was about to fall, that Voldemort had decided it was time to kill him, and, worst of all, before he had completed his final, vital mission. And why if Snape knew about the elder wand, thus knew he could die at any time that Voldemort discovered it, why he didn't come up with a plan to ensure Harry got the important message he carried. And why he didn't go and get the wand from Dumbledore's grave and hide it. If Dumbledore told Snape after his tomb was violated, this would not be an option. If he didn't he would simply be behaving in a very unintelligent manner. He would have known his death was imminent and did nothing about ensuring Harry would get the message he carried. If Snape knew, this could be a reason he attempted to approach Harry at Hogwarts, despite the fact that it was not time yet. (He had not seen Nagini in her bubble). It was the same with everyone else - whatever their role, they were expendible. Only Harry was important to bringing down Voldemort in the end. Nope. Snape was crucial. Without him, Dumbledore would be dead before the start of HBP, and Harry would not know about Horcruxes. But yes, plans could have been adjusted around him if he died after that point, at least until Dumbledore's death. After Dumbledore's death, it seems to me his portrait was rather dependent on Snape again. If Snape had not occupied that office, another Death Eater would have, which I imagine would have been quite the monkey wrench in Albus's well-laid plans. Last edited by arithmancer; January 26th, 2008 at 8:38 pm. I find myself agreeing with the argument that Dumbledore did not tell, nor did he intend to tell, Snape about the Elder Wand. I felt that Snape was completely surprised by Voldemort's comment about the Elder Wand moments before he was killed. I also wonder why some readers are expecting Dumbledore to treat Snape better than he treated the other Order members. Is it because we have grown attached to Snape that we may think he should have been treated differently than MadEye Moody or even Harry was. Dumbledore also set them up, too. He asked them to do things without telling them all the facts. Aberforth told Harry how his brother kept secrets just like Kendra did. Why should we expect anything different from Albus just because it is Snape we are talking about? That is just my opinion. Snape was extremely loyal to Dumbledore, but so was Harry, Minerva, Flitwick, Arthur Weasley, etc. Somehow Dumbledore managed to have very loyal followers in spite of his rather devious methods. Snape was just one of the bunch. His position was key and extremely important, of course, but he was just part of the plan, not the whole plan, in my opinion. Last edited by SusanBones; January 26th, 2008 at 8:47 pm. Different timing. If Snape delivered the message to Harry before Voldemort tracked down the wand, there would be no problem. I think you mean if Harry had found all of the horcruxes and Voldemort encaged Nagini before he tracked down the wand - then Snape could deliver the message. Fat chance of that happening considering Dumbledore himself purposely slowed down Harry's search for the Horcruxes and added the mystery of the Hallows to even further slow him - all without the benefit of knowledge that Dumbedore had. If Dumbledore was hoping Harry would move faster than Voldemort in order that Snape might be saved, he would not have slowed Harry down. Respecting your view, I don't see how your theory here could co-exist with Dumbledore's desire to slow Harry down. Dumbledore knew Voldemort would be seeking the wand and in my opinion, gave him ample time to find it. It would leave Voldemort very vulnerable if he thought he was the master of the Elder Wand. I respect your view, but the point is not when Dumbledore made the callous decision to sacrifice Snape without telling him, but that he did so - ever. It was wrong whatever his intentions, imo. I would respectfully disagree with the reasoning here. What has Dumbledore's fervent hope got to do with his act of raising Harry with the idea that he would be able to meet Voldemort and fight, only to tell him 6.5 years later that he has to meet the dark lord and die? Under that reasoning, Harry should not have felt betrayed at all - but he did, he said so. And Harry felt betrayed because "fervent hope" is not adequate because Harry was not informed of it. Harry had no 'fervent hope' The act was callous. Snape thought Dumbledore was callous too and acting in a completely unexpected manner. And yet Snape went right along with the plan for nearly two years; despite his disgust with Dumbledore, he didn't bother to tell Harry either - which places his non-disclosure in the realm of callousness as well. In Snape's case, it is understandable and there is no betrayal because Harry knew he hated him. But it is still wrong behavior on both the part of Dumbledore and Snape. Because despite the hardship of knowing, Harry would not likely have backed out of the plan anyway. But it would have forestalled the added burden of feeling betrayed - and right at the end too. The fact that Harry did go through with it speaks to that - and meanwhile Harry could have researched his own solutions to his little horcrux problem - Dumbledore was not infallable and perhaps Harry could have found help elsewhere. Thus Dumbledore's hopes and dreams do not reduce the gravity of his action, imo. And this was the goal of all his plotting, together with Voldemort's defeat. Harry could not live without Voldemort's defeat anyway, because Voldemort would seek to kill him as long as he remained alive. And he would have still met his match in Harry. Nothing would have been different except Harry would have known what he was in for. That Harry had to make a self-sacrifice may be reason enough not to give Harry the benefit of knowing he might live, but Dumbledore (or Snape) should have told him he had to allow Voldemort to kill him. Because Dumbledore decided to say nothing, the whole affair dwindled into a bathetic melodrama with Dumbledore in the staring role and his true nature revealed. JKR said Dumbledore behaved in a Machiavellian manner - she wouldn't have done so if Dumbledore's acts toward Harry and/or Snape hadn't been callous. What else had he done that was in line with being Machiavellian? He came across as callous explaininng the plan for Harry to Snape, but this is because he was concealing a part of his plan from him. Exactly - I agree. It didn't just come across as callous, it was, imo. The reason why it was: Dumbledore was not 100% certain Harry would live - so even his 'fervent hope' his 'guess' was tantamount to nothing. Harry should have been forewarned, imo. Last edited by wickedwickedboy; January 26th, 2008 at 9:12 pm. You think it would be less callous to tell a boy of 11 his days are numbered? I respectfully disagree. Respecting your view, I don't see how your theory here could co-exist with Dumbledore's desire to slow Harry down. Dumbledore knew Voldemort would be seeking the wand and in my opinion, gave him ample time to find it. It would leave Voldemort very vulnerable if he thought he was the master of the Elder Wand. Ah, the idea was to get the wand, first inactivated for good, and later simply not his, into Voldemort's hands, then. Interesting take on the situation, this makes sense as a devious plan, anyway. The idea that setting Snape up to die was a goal of Dumbledore's because he deserved it for killing James is the part I have difficulty believing could possibly be what Dumbledore wanted. What, then, do you think is meant in the exchange between Harry and Dumbledore in King's Cross about things not working out? Snape is dead, and Voldemort thinks he is master of the Elder Wand, at the point that conversation takes place. I felt that Snape was completely surprised by Voldemort's comment about the Elder Wand moments before he was killed. Though he seemed to understand it very quickly, for someone who never heard of the wand before. Of course, it is possible he was familiar with the concept, and simply not that Albus had actually had that wand. I also wonder why some readers are expecting Dumbledore to treat Snape better than he treated the other Order members. To me, what is being suggested is worse than aything I believe Dumbledore ever did to another Order member. Snape knew he was doing things without knowing all the facts, Dumbledore made that quite clear. I imagine the same was true of the Order members as well. But what is being suggested is that Dubledore deliberately made a plan which required Snape's death to work. This is worse even than what he did to Harry, because he hoped Harry would live. It was not necessary for Harry to die, jsut for the soul bit to be destroyed. Last edited by arithmancer; January 26th, 2008 at 10:13 pm.